When Jesus teaches “don’t swear,” but to simply let your Yes be yes and No be no , he’s addressing internal self-control, good judgment, and freedom versus external swearing, insistence, or proving good behavior. For example, if I swear to tell the truth, the whole truth, and nothing but the truth, so help me God, but I would lie if not for the oath, I’m already a liar regardless how I perform on the witness stand. My oath hasn’t touched my character even if God makes me tell the truth. Lying under oath is common because swearing is no guarantee the truth will be told. While we’re required to swear in court, to turn it into an entire life-style is like living on a leash. This is only partially true; and it robs us of hope. The idea that we’ll never be good in this life is a terrible conflict with God’s refinement and redemption process. 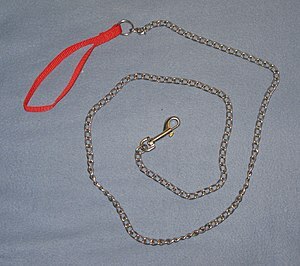 Jesus’ plan aims to have little need for leashes compelling us to obey. Scripture calls it freedom in Christ. The expression “Christ living in you” means God’s Law of good will living in you as richly as it lives in Jesus. “Just as He who called you is holy, so you also be holy in all you do.” (1Pet.1:15) Love God with all your heart, mind, strength, and soul; and love your neighbor as yourself. While we usually hear that God’s Law is the standard we’ll never measure up to, it’s right where Jesus leads us. Like a steady sunrise, the day is coming when mankind, under the Son’s guidance, will have finally written it in the heart, and “thou shall not” won’t be necessary at all. The Ten Commandments aren’t just rules; they’re a prophecy of when people really shall not lie, covet, worship false images, or kill—not in a misty afterlife, but in lives lived on the physical Earth in physical bodies, now as well as in the ages to come. This is the promise in Christ that Paul speaks of in Eph. 3:6. You and I aren’t chess pieces that God moves around on the board of life. We can and should develop our own good judgment, will, and discernment. In those times when God seems far away and silent, He hasn’t abandoned you; He’s giving you an opportunity to practice something you’ve learned—a trial. Or, as I like to call it, a try-al. Rather than dictate our every move, God often backs off and stands us on our own two feet. We shouldn’t wonder, “What did I do wrong?” or try to confess some unknown lack of faith (as many churches mistakenly teach). Neither has God let us down or failed in His promise. At those times, we’re simply off-leash. And God is still nearby. This builds both faith and character. Instead of feeling discouraged, we should see it as a fabulous sign of growth and trustworthiness! The stronger we become on the inside like Jesus, the less we need rules on the outside. God’s Law will never go away, it’ll just be internalized rather than etched in stone. The true test of Christ-like formation is whether we can increasingly think and react the way Jesus did without being prompted and without external means to compel us. Then God can unleash us to rule and serve in good will, trusting us to not create the disasters we do today.